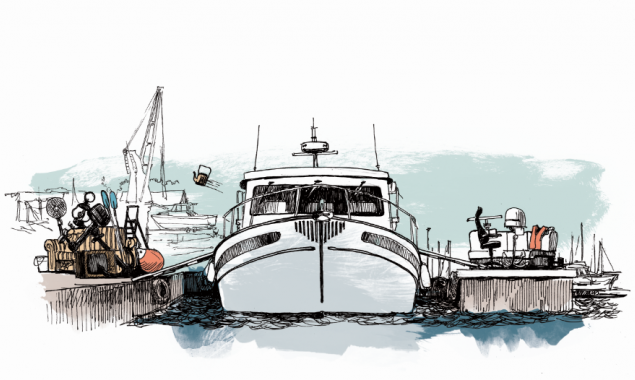 Not long ago, I wrote about pre-emptive repair of yachts. Of course, it is important as the current operating task and on an ongoing basis. But I want to draw your attention to a position like refit. First and foremost — in relation to serial popular yacht sizes (up to 100 feet). If repite (eng. refit — deep conversion) custom metal vessels known to many, and no one question, why do it, but when it comes to composite yacht in serial production, the same Princess, Sunseeker, etc., similar question, on the contrary, is often asked. Meanwhile, the age of the yacht the first wave (I’m talking only about Russia) has already exceeded 10 years, the second wave — in 5 years. Considering “amendments to the wind” and “sanatorium” mode of operation of these vessels in the middle zone of Russia the condition of yacht, both groups are approaching the same milestone, when it is necessary to think about repite. With the main aspects of the process, particularly economic: to refit or wait, where to and at what price? everyone will understand yourself. Here I want to say about the technical side of the issue. In Russia, quite naturally formed a kind of “segregation” in relation to the construction material: plastic/metal. Our internal waters “captured” serial fiberglass boat in the conventional range of lengths up to 100 feet. And custom metal decent size “registered” abroad. As a result, in Russia, completely missing a full refit of metallic vessels, made of aluminum alloy and steel. However, the same applies to Scandinavia. As a result, under the term “refit” means we have cosmetic repairs. Painted, polished, re-make the teak on the decks, repair the furniture… And at the finish of a cosmetic repair call refitem. Clearly, it’s better than nothing, but such “cosmetic” does not affect engineering. Similar to the situation when do facial plastic surgery, and about the kidneys are forgotten. Refit in the first place involves the overhaul of systems and mechanisms. And if on the fifth or sixth year of operation of the boat such work is easy enough, at the turn of the 10 years it already looks like a small war. Of course, refit for refita not interesting. Must be defined by the tasks of operating the boat for the next 3-5 years (with the trouble-free operation), but not in the conditions of permanent repair. And, of course, the amount of refita depends on your plans. If the usage model of your boat provides 100 hours of fashion shows around the pier — this is one if the 500-800 hours the long March is quite another. But in any case, it all begins with a technical audit of the boat. And better if it will hold the engineer-surveyor, and not a service-engineer, which for each position will see the money in the first place their received, not your spent.